I feel the Australian rugby community has fallen into the same hopeless situation in the discussion about the dire state of the Wallabies and the corresponding fall from grace of head coach Michael Cheika. The fact of the matter is that there is no way Cheika will be dismissed before the 2019 Rugby World Cup tournament. This is not going to be done. There is also no way, as well, that the results of the Wallabies are going to improve very much without some intervention that works from Rugby Australia. In other words, it is going to be stormy weather for the Wallabies unless something is actually done to change this dire prospect. This change has to come from Rugby Australia. The problem with this answer is that Rugby Australia is part of the problem. 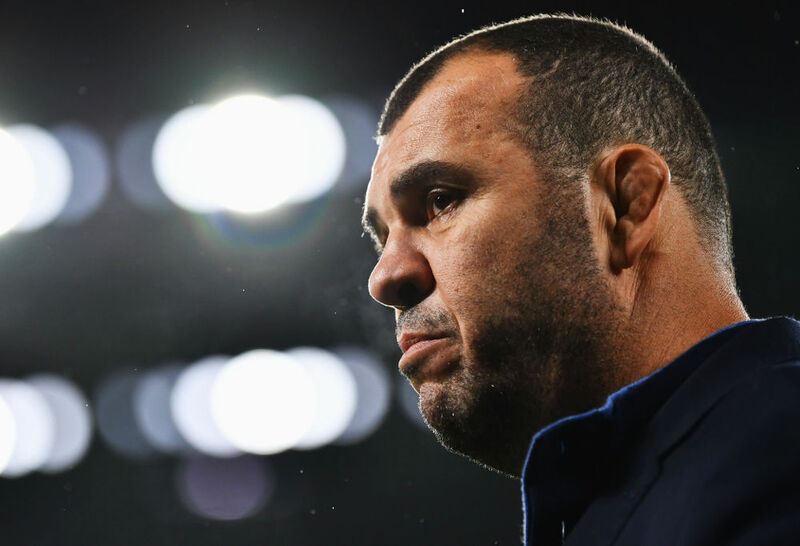 Its High Performance unit and chief executive Raelene Castle have endorsed the so-called and failed Cheika Plan intended to take the Wallabies to RWC glory. I take this bureaucratic goobledegook to mean, I think, that Rugby Australia endorses what Cheika has told them is a Plan, even though that Plan isn’t working. The High Performance unit, too, has presumably endorsed the selection and continuation of Nathan Grey as defence coach and Stephen Larkham as the attack coach of the Wallabies. This endorsement defies the fact that the Wallabies are leaking tries and scoring few of their own in retaliation. What all this suggests to me is that Rugby Australia really does not have a clue about the direction of the Wallabies and what needs to be done, in the short term, to somehow change that direction from its current free fall to a shift upwards. 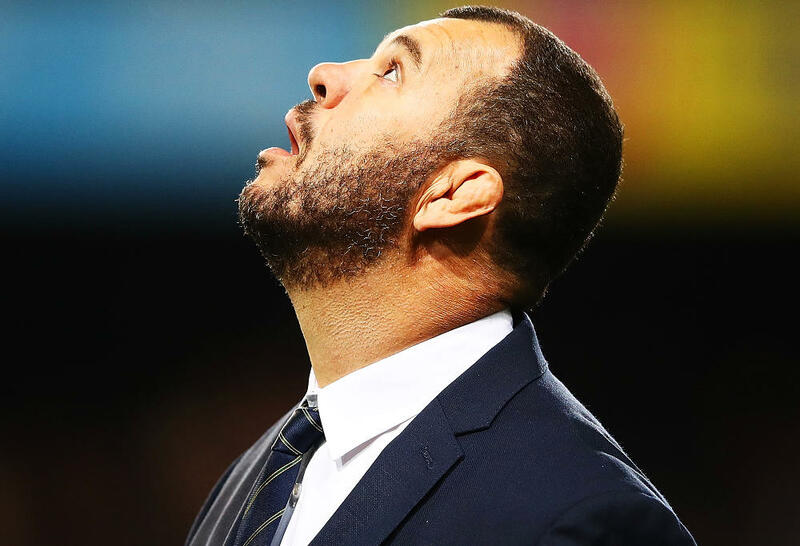 This failure is intensified by an equally unacceptable failure from much of the rugby establishment, the bureaucrats and favoured former Wallabies in the media, to defend Cheika’s record of winning only 50 per cent of his Tests, with the successive losses of two three-Test home series and the two smashing recent defeats handed out by the All Blacks. Why are the players inconsistent? Why at the national level is this inconsistency not Cheika’s problem? The discussion on Fox Sports where Gregan uttered his platitudes was an unctuous defence of the establishment coach, despite his record. When is Fox Sports going to put on someone that actually understands something about selection and coaching and not, say, Rod Kafer who is paid by Rugby Australia to improve the coaching levels that he is supposed to be analysing? Why do Fox Sports, for instance, ignore rugby people like Mark Ella and Bob Dwyer, experts with a point of view that does not cuddle up to the rugby establishment’s benign view of things? I would say that the greatest weakness at the top levels of Australian rugby right now is a lack of rugby intelligence. Every week we get a brilliant analysis of some aspect of performance by an Australian team by Nicholas Bishop on The Roar. We never get anything remotely close to this sort of analysis, real rugby intelligence applied to issues like the wrong player selected to play number 6 for the Wallabies, say, from any of the commentators and writers in the mainstream media, or from anyone connected with the Wallabies or Rugby Australia. My guess is that there is no one inside Rugby Australia or in the Wallabies coaching set-up (or in the commentariat) who can come close to doing the sort of rigorous, insightful analysis that Bishop does. But I would bet that the All Blacks have this sort of analysis available to them for the coaches to work on with the players, and to get their selections right. Did any of the commentators note that the All Blacks had a different defensive line set inside their 22, with pods of two defenders, than they did outside their 22? Have any of the commentators asked themselves where David Pocock was when the All Blacks were scoring their breakout tries? As a follow-up to this question, has anyone done an outcome study relating to Pocock’s style of digging in every ruck rather than being selective like the great diggers, George Smith and Richie McCaw? If an analysis of the Wallabies defensive line is made in regard to the breakout tries scored by the All Blacks it might be established (and I believe it would be) that Pocock’s dig-always style actually hurts the Wallabies when play unfreezes. We can’t educate all the commentators, the bureaucrats and the coaches. But the Wallabies could be helped greatly if they brought in a ‘rugby whisperer’ to give Michael Cheika the rugby intelligence that could improve the outcomes of the Wallabies. I am thinking here about Phillip ‘Chook’ Fowler, a Brisbane psychologist and qualified rugby coach who has worked successfully for Ewen McKenzie (in 2011 when the Reds won their Super Rugby title), for Eddie Jones (in 2003 when the Wallabies upset the All Blacks in the Rugby World Cup semi-final) and Eddie Jones again when he was a consultant for Jake White during the Springboks’ successful 2007 World Cup campaign. Particularly interesting in all of this is the advice gave Jones before the 2003 semi-final. Remember that some weeks earlier the All Blacks had put over 50 points on the Wallabies at Sydney, in a display at least as brilliant as that recently played out at Eden Park. In 2003, as in 2018, the All Blacks had a sensational number 10, Carlos Spencer, who seemed impossible to contain. Fowler told Jones the psychological key to unnerving Spencer and undermining his confidence, which was the key to his game, was to take the enjoyment out of the game for him. And so he made crucial mistakes like the long cut-out pass which was snaffled by Stirling Mortlock to race away to score an 80-metre runaway try. Now ask yourself. What was Cheika’s plan in the Eden Park Test to somehow unnerve Beauden Barrett? This is the point about Cheika’s coaching and that of his staff. There never seems to be a plan or a method to win a particular Test or series. Selection seems almost to be by lottery. Players come into favour and for no apparent reason then fall out of favour. The Wallabies diminish rather than grow under the coaching regime. Players look promising early on and then this promise somehow evaporates. Is there any player who plays better for the Wallabies than he does for his Super Rugby club? Is there any player like Phil Kearns or Matt Giteau, youngsters plucked from obscurity by Bob Dwyer (Kearns) and Eddie Jones (Giteau) who became Wallaby standouts, that Cheika has plucked out of obscurity and that player has developed into a great player? It is amazing to me that all the talk is that someone like Stephen Larkham will take over from Cheika when he steps down at the end of 2019. 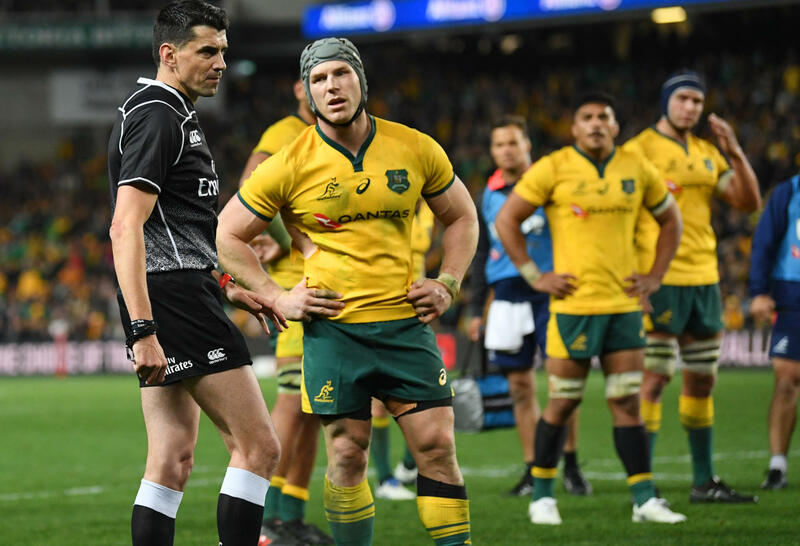 There needs to be a complete clean-out of the coaching staff and the High Performance Unit and new blood brought in to create a revival of the Wallabies and Australian rugby. There are a number of options, in my view, Rugby Australia should look at for a coaching panel for 2020 onwards. So let us look at a possible panel of coaches who could lead a revival of the Wallabies, after the 2019 World Cup. 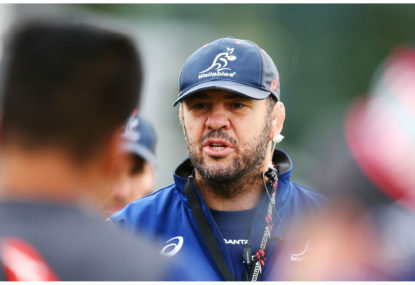 Despite Greg Martin’s nasty attack on Robbie Deans as a ‘Trojan Horse’ for the All Blacks in the Wallabies coach, I think a tough-minded, successful New Zealander is the right person to lead the next Wallabies coaching panel. My suggestion is Vern Cotter. He is 56. Has played provincial rugby for nearly two decades. He has coached for 18 years. He was the Crusaders forwards coach between 2004 and 2006 when that team started to entrench its forwards-dominant style. He has coached in France, currently with Montpellier. And he coached Scotland in 2016 to their first victory over France since 2006. 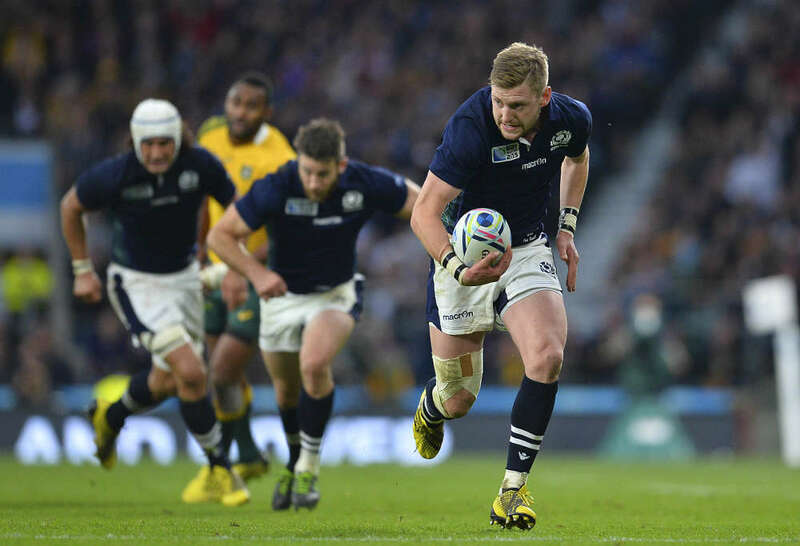 In the 2015 World Cup Cotter coached Scotland when they almost defeated the Wallabies in the quarter-final, with a disputed penalty robbing them of what would have been a historic victory. To complement the influence Cotter, I would suggest Matt O’Connor, now head coach of Leicester, as the backs coach. O’Connor was a chunky, aggressive inside centre for the Queensland Reds who should have played more than one Test for the Wallabies. He has spent time playing and coaching in Japan. He was influential in Leicester’s 2013 Premiership win. He won the 2013-2014 Pro12 title in his first year as coach of Leinster. But when the team lost in the semi-final of the Champions Cup in 2015, he was sacked. He was interim head coach of the Reds in 2016 and lost out to Nick Stiles for the head job. Finally, I would give my panel some panache, some dash, some creative thinking and total enthusiasm for rugby by offering Scott Johnson, currently the Director of Coaching for Scotland Rugby, to be the third member of the coaching panel. I think Johnson is the key to a revival of Australian rugby, especially at the Wallaby level. Johnson would be the Australian equivalent, more colourful though, of the New Zealand brain-box coach and mentor of the players, Wayne Smith. Johnson was a stocky, innovative, bold number 10 and centre for Parramatta, Eastwood and the Waratahs. He played in France for Toulon. He was club coach of the year in NSW in 1999 when he directed the Penrith club. He was assistant coach for the Australia A team that defeated the British and Irish Lions at Gosford in 2001. He worked with Graham Henry with Wales as the skills coach. Wales won their first victory over South Africa at this time. He was involved with Wales when they won a Grand Slam in 2005. He worked with John Connolly when he was in charge of the Wallabies as attack coach during the RWC 2007 campaign. After coaching Scotland, giving way to Vern Cotter, he was appointed to the prestigious position of Director of Rugby for Scotland Rugby. I remember being at my desk at the Sydney Morning Herald, some time in 1990s before professional rugby, when Johnson rang me up and told me had organised a game of rugby playing under what I described in an article as the Scott Johnson’s Laws to open up the game to become a more enjoyable spectacle for spectators. The game was a great success. Some of the laws suggested by Johnson and trialled by NSW club players became part of the revision that has come into rugby, improving the game immeasurably, since the professional era. This combination of a love and knowledge of the laws, together with a passion for doing exciting and creative things on the rugby field, is something that could be used to enthuse the Wallabies culture with the game plan and the structures to take on the All Blacks in their re-shaping of how rugby is played. Johnson is as Australian as a kookaburra and as raucous. He loves rugby. He exudes a passion for the game that would excite our jaded professionals who look on matches as a hard day at the office. He would bring challenge and excitement back to the Wallabies. As I say, these are names that I put forward now that should be considered at the end of next year. They are not the only names but they are names that have the advantage of not being tied to the current rugby establishment that is failing the game here. The point of this exercise of nominating a potential coaching panel for the Wallabies after the 2019 Rugby World Cup is to show that there are possibilities outside of the narrow band of names that are currently being tossed around by the rugby establishment in Australia. Unless the jobs for the mates system that currently operates inside Australian rugby is broken, I cannot see a revival of the Wallabies as a world force in the near future.